Origins GinZing Refreshing Scrub Cleanser £18.50 First things first, I like to wake up, cleanse and energise my skin with a gentle 2-in-1 scrub and cleanser from Origins. The Origins GinZing Refreshing Scrub Cleanser scrub has an uplifting citrus scent and is packed with refreshing, radiance boosting ingredients such as panax Ginseng and caffeine. It also includes Jojoba and Carnauba Wax which exfoliate to help unclog pores. Gentle enough for daily use, I massage the scrub into damp skin and rinse. After use my skin is left looking smoother and brighter without feeling tight - the perfect way to wake up my skin in the morning! Vichy Aqualia Thermal Dynamic Hydration Power Serum £22.50 Serum is a product well worth considering adding into your routine if you haven't already. Since introducing the Vichy Aqualia Thermal Dynamic Hydration Power Serum into my routine three years ago I haven't looked back. So why has it been a long-standing member of my skincare routine? This serum is formulated with a high concentration of Vichy Thermal Spa Water and hyaluronic acid. The serum can be used alone, or layered under a moisturiser. Its lightweight runny formula gives immediate relief to my skin taking away that tight feeling, leaving my skin plump and visibly smoother. A product I recommend to many and one I urge you to try! Antipodes Rejoice Light Day Cream £23.50 Immediately after applying my serum I take a small amount of Antipodes Rejoice Light Day Cream and massage it into my skin. Formulated with normal, combination and oily skin types in mind, the lightweight moisturiser boasts natural ingredients, such as Manuka flower oil to help promote a blemish free complexion, avocado oil for hydration and rosehip oil which is packed with vitamins and essential fatty acids to help correct dark spots and reduce scars. It's also free from any nasties and has added anti-ageing benefits as it's been proven to stimulate collagen production by up to 59%. Applied onto the skin the non-oily moisturiser is surprisingly thick in consistency, but absorbs almost immediately without leaving any residue on the skin. Oh, I must mention its scent... Whilst not unpleasant I find it odd, it has a heavy natural almond scent which tends to linger on the skin for a few minutes or so. However, whilst I'm not one to get excited about moisturiser, I have noticed a visible difference in my skin. Not only does it look far healthier and plump. I've also had little to no non-hormonal breakouts. Not bad eh? 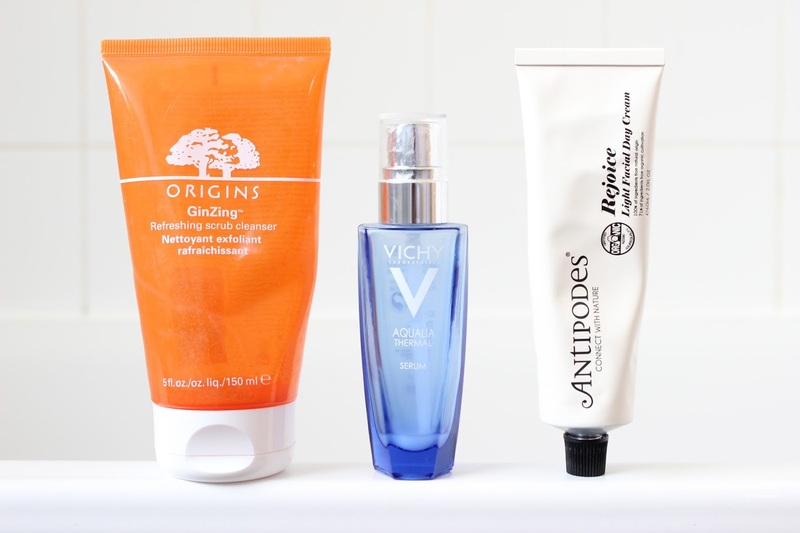 What skincare products do you reach for in the morning?